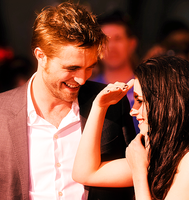 Rpattz and Kstew :). . Images in the Robert Pattinson & Kristen Stewart club tagged: robert pattinson kristen stewart 2011 breaking dawn robsten.